About 70% of people over age 65 will require some type of long term care during their lifetime*. Plus, the cost of LTC is high! The estimated average nursing home rate in Western New York is just over $115,000/year; in the New York City area, the rate is almost $145,000/year**. So the question is ... how will you pay for your care? LTC Insurance reimburses you for Nursing Home Costs and/or Home Health Care costs if you can no longer care for yourself due to chronic illness or prolonged disability. Typically, benefits become payable when the insured becomes cognitively impaired or unable to perform certain activities of daily living (such as bathing, eating, etc.). Why Purchase Long Term Care Insurance? LTC costs are not covered by most health insurance plans, and Medicare provides only limited LTC coverage. 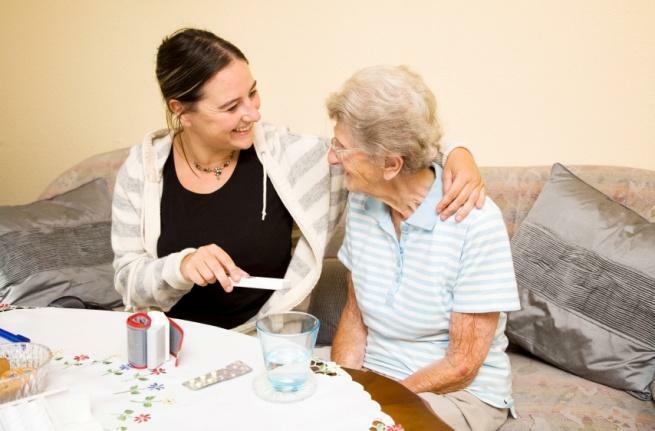 It increases your chances of being able to obtain the LTC of your choice, whether in your own home or a nursing home. It helps ease your concerns about burdening loved ones with unexpected care-giving duties in the future. Without Long Term Care Insurance, you risk depleting the assets you’ve worked so hard to build. optional benefits to help you tailor a program to meet your needs. Sellers & Co. also offers “Partnership” policies that qualify under the New York State Partnership for Long Term Care. If you buy a Partnership policy and exhaust its benefits, you can apply for Extended Medicaid Benefits and still retain your assets. For members of the Medical Societies and their spouses, Sellers & Co. is pleased to offer a 5% discount on Mutual of Omaha Long Term Care Policies. Call us for details. *(National Clearinghouse for Long Term Care Information, US Dept. of HHS, September 2008).